Craig J. Hubert is a partner in the firm and is a member of the five attorney management committee. He is a distinguished trial attorney whose practice focuses on personal injury. He represents clients in complex litigation involving serious accidents, nursing home negligence, product liability, and unsafe premises, as well as victims of criminal acts. He has achieved millions of dollars of compensation for his clients. 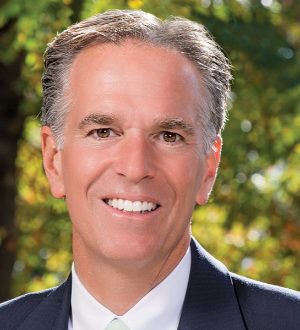 Craig has been recognized as a Certified Civil Trial Attorney and Certified Criminal Trial Attorney by the New Jersey Supreme Court and Craig was elected President of the Mercer County Bar Association in 2005. In 2004, the Mercer County American Inn of Court named Craig Attorney of the Year, an award recognizing an attorney whose efforts have helped advance the fundamental tenets of ethics and civility in the legal profession. Prior to private practice,Craig has held positions as Law Clerk for Mercer County Superior Court Civil Presiding Judge Honorable Neil H. Shuster and trial attorney for the Mercer County Prosecutor’s Office, and has argued two cases before the New Jersey Supreme Court. He is the current Municipal Prosecutor for Pennington Borough, Plainsboro Township and Cranbury Township. He received his Juris Doctor from Seton Hall University School of Law and his B.A. from the University of Wisconsin.